More than ever before the ability to send and receive information both privately and anonymously is viewed as crucial in the digital age, enabling all corners of society – especially those most persecuted – to exercise their right to freedom of opinion and expression. On the other hand, however, there are those who abuse those freedoms and the rights of others. And then, rightly or wrongly, there are those who communicate privately in order to undermine their governments. This leads some nations to restrict or even ban encryption, while others seek to introduce laws which allow law enforcement to tap into citzens’ communications. – Do the rights to privacy and freedom of opinion and expression protect secure online communication, specifically by encryption or anonymity? – Assuming an affirmative answer, to what extent may Governments, in accordance with human rights law, impose restrictions on encryption and anonymity? Acknowledging that some states impose draconian measures to restrict citizens’ abilities to send and impart knowledge without fear, Kaye says that journalists and activists often need specialist tools to make their voices heard. “A VPN connection, or use of Tor or a proxy server, combined with encryption, may be the only way in which an individual is able to access or share information in such environments,” Kaye says. Noting that individuals should be able to send and receive information beyond their borders, the rapporteur states that some member states act to deny those freedoms by restricting communications using aggressive filtering. “Encryption enables an individual to avoid such filtering, allowing information to flow across borders. Moreover, individuals do not control — and are usually unaware of — how or if their communications cross borders. Encryption and anonymity may protect information of all individuals as it transits through servers located in third countries that filter content,” Kaye writes. 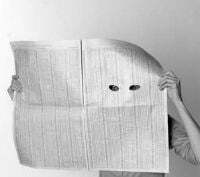 Of course, in the online environment encryption and anonymity are often spoken of in the same breath, and just as encryption can often beat the censors, in some cases staying anonymous is vital to continued freedom of expression. “Anonymity has been recognized for the important role it plays in safeguarding and advancing privacy, free expression, political accountability, public participation and debate,” Kaye writes. Kaye notes that several states have attempted to combat anonymity tools such as TOR, VPNs and proxies, with Russia even offering significant cash bounties for techniques which would enable it to unmask TOR users. However, due to their human rights value, use of such tools should actually be encouraged. “Because such tools may be the only mechanisms for individuals to exercise freedom of opinion and expression securely, access to them should be protected and promoted,” Kaye advises. In respect of encryption and anonymity, Kaye says that member states should adopt policies of “non-restriction or comprehensive protection”, and only introduce restrictions on a proportional, court-order supported, case-by-case basis. Adding that states and companies alike should actively promote strong encryption and anonymity, Kaye says that measures that weaken individual’s online security, such as backdoors, weak encryption standards and key escrows, should be avoided. Finally, Kaye advises member states to not only encourage the use of encryption, but also make it the norm. “The Special Rapporteur, recognizing that the value of encryption and anonymity tools depends on their widespread adoption, encourages States, civil society organizations and corporations to engage in a campaign to bring encryption by design and default to users around the world and, where necessary, to ensure that users at risk be provided the tools to exercise their right to freedom of opinion and expression securely,” the report concludes.